All the fun of your favorite pop culture characters have been scaled down into adorable 8-inch form with Gordos! 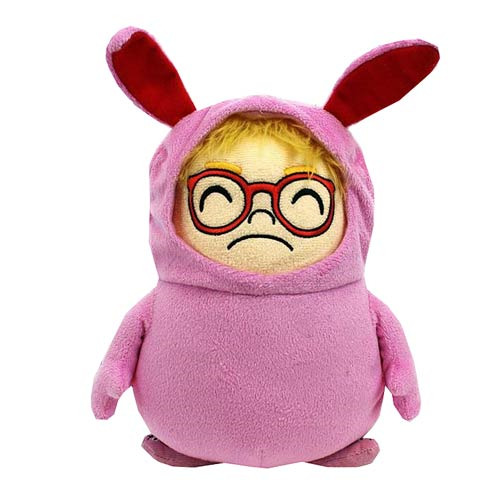 This Christmas Story Ralphie in Pink Bunny Suit Gordos Plush is a carefully crafted collectible plush version of Ralphie from A Christmas Story wearing his embarrassing pink Bunny suit. Gordos plush are weighted with 10-oz. bean bag butts to ensure that they will stand confidently on their own two feet. Measures 8-inches tall! Ages 3 and up.